First called novel coronavirus 2012 or simply novel coronavirus, it was first reported in 2012 after genome sequencing of a virus isolated from sputum samples from patients who fell ill in a 2012 outbreak of a new flu. As of June 2014, MERS-CoV cases have been reported in 22 countries, including Saudi Arabia, Malaysia, Jordan, Qatar, Egypt, the United Arab Emirates, Kuwait, Oman, Algeria, Bangladesh, the Philippines (still MERS-free), Indonesia (none was confirmed), the United Kingdom, and the United States. Almost all cases are somehow linked to Saudi Arabia. In the same article it was reported that Saudi authorities’ errors in response to MERS-CoV were a contributing factor to the spread of this deadly virus. An outbreak of Middle East respiratory syndrome coronavirus occurred in South Korea from May 2015 to July 2015. The virus, which causes Middle East Respiratory Syndrome (MERS), was a newly emerged betacoronavirusthat was first identified in a patient from Saudi Arabia in April 2012. From the outbreak, a total of 186 cases have been infected, with a death toll of 36. South Korea reported its first MERS case on 20 May 2015. A 68-year-old man returning from the Middle East was diagnosed with MERS nine days after he initially sought medical help. The following table shows the daily statistics on the number of infected persons since 20 May 2015, based on the official report of the Central MERS Management Task Force, Ministry of Health and Welfare at the beginning of each day. The government was criticized for underestimating the danger of Middle East respiratory syndrome coronavirus and hesitating to announce facts to public. It was only on 6 June 2015 that South Korean officials released the names of all the health facilities where MERS victims had been treated or visited. On 7 June 2015, the South Korean government released the names of 24 MERS-affected hospitals to the public. These hospitals include the Pyeongtaek St. Mary’s (SeongMo) Hospital (평택성모병원) and the Seoul Samsung Hospital (삼성서울병원), an affiliate of Samsung Medical Center. On 26 May 2015, a 44-year-old South Korean man, his father and elder sister being confirmed to be infected by MERS, paid no notice to a doctor’s advice or a self quarantine order from the government, and arrived in Huizhou through Hong Kong for a business trip. When he was found to have a fever, the man was suspected of being dishonest with border quarantine officers in Hong Kong by concealing that he had been to hospital on 16 May for nearly 4 hours to visit his father. He has tested positive for MERS. On 30 May 2015, a website said that a driver in Huizhou who transported a South Korean male MERS patient was suspected to be infected but later the government clarified that this was a rumor. A Chinese fugitive who stayed in South Korea for 3 years turned himself in as he was afraid of the outbreak. He arrived at Dalian Zhoushuizi International Airport on 4 June. On 8 June 2015, a South Korean couple who did not follow the self-quarantine notice were found to have visited the Philippines on 6 June. They had visited the respective clinics in Sunchang County where a 72-year-old woman was confirmed positive for MERS after having visited the clinic for lumbago treatment. The couple said that they only knew that the 72-old women was a MERS positive patient only after reading the news. On 14 June, a South Korean man was tested for the virus in Bratislava in Slovakia. He is currently being treated at a hospital in Bratislava. On the same day, he was tested negative, now quarantined for being tested for additional causes. On 25 June, a South Korean man who had been treated at a Chinese hospital after being diagnosed with the MERS virus in late May, was released from the hospital and returned to South Korea. On 11 June 2015, South Korea’s central bank cut interest rates by 0.25 percentage points to stem the economic fallout from the outbreak. South Korea’s department store sales decreased by 16.5% compared to the same period last year, and retail shops also decreased 3.4%, according to the Minister of Strategy and Finance, as of June 17, 2015. As of 17 June 2015, 100,000 tourist visits to the nation had been cancelled. An outbreak of Middle East respiratory syndrome coronavirus occurred in South Korea from May 2015 to July 2015. The virus, which causes Middle East Respiratory Syndrome (MERS), was a newly emerged betacoronavirus that was first identified in a patient from Saudi Arabia in April 2012. From the outbreak, a total of 186 cases have been infected, with a death toll of 36. On 9 June 2015, two Hong Kong students from City University of Hong Kong doing a 3-month exchange program in Sungkyunkwan University were ordered by a professor to get out of the classroom as they refused to remove their protective masks. The professor also said that they were too sensitive to the outbreak because of the history of SARS in Hong Kong in 2003. Sungkyunkwan University replied that some professors saw wearing masks as impolite and said if students insist on wearing masks, they might be refused to give presentations in class and may be unable to graduate due to this. Affected students said this reflected that the South Korean public was not attentive to the threat of the MERS outbreak. An outbreak of Middle East respiratory syndrome coronavirus has been ongoing in South Korea since May 2015. The virus, which causes Middle East Respiratory Syndrome (MERS), is a newly emerged betacoronavirus that was first identified in a patient from Saudi Arabia in April 2012. 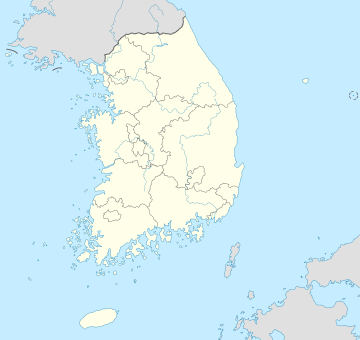 South Korea reported its first MERS case on 20 May 2015. A 68-year-old man returning from the Middle East was diagnosed with MERS nine days after he initially sought medical help. As of 15 June 2015, there were 150 known cases in/from the country and 16 people have died from this outbreak. 2,208 schools have been temporarily closed, including 20 universities. 3,800 people have been placed in isolation at home or at government designated facilities. The following table shows the daily statistics on the number of infected persons since 20 May 2015, based on the official report of the MERS Central Management Task Force, Ministry of Health and Welfare at the beginning of each day. On 26 May 2015, a 44-year-old South Korean man, his father and elder sister being confirmed to be infected by MERS, paid no notice to a doctor’s advice or a self quarantine order from the government, and arrived in Huizhou through Hong Kong for a business trip. When he was found to have a fever, the man was suspected to be dishonest to border quarantine officers in Hong Kong by concealing that he had went to hospital on 16 May for nearly 4 hours to visit his father. He has tested positive for the Syndrome. A Chinese escapee who stayed in South Korea for 3 years turned himself in as he was afraid of the outbreak. He arrived atDalian Zhoushuizi International Airport on 4 June. On 8 June 2015, a South Korean couple who did not follow the self-quarantine notice were found to have visited thePhilippines on 6 June. They had visited the respective clinics in Sunchang County where a 72-year-old woman was confirmed positive for MERS after having visited the clinic for lumbago treatment. The couple said that they only knew that the 72-old women was a MERS positive patient only after reading the news. On 9 June 2015, two Hong Kong students from City University of Hong Kong doing a 3-month exchange program inSungkyunkwan University were ordered by a professor to get out of the classroom as they refused to remove theirprotective masks. The professor also said that they were too sensitive to the outbreak because of the history of SARS in Hong Kong in 2003. Sungkyunkwan University replied that some professors saw wearing masks as impolite and said if students insist on wearing masks, they might be refused to give presentations in class and may be unable to graduate due to this. Affected students said this reflected that the South Korean public was not attentive to the threat of the MERS outbreak. On 14 June, a man was tested for the virus in Bratislava in Slovakia. He is currently being treated in hospital. People criticized the government for underestimating the danger of Middle East respiratory syndrome coronavirus and hesitating about announcing facts to public. It was only on 6 June 2015 that South Korean officials released the names of all the health facilities where MERS victims had been treated or visited. This article is about the outbreak. For the virus, see Middle East respiratory syndrome coronavirus. For the disease, seeMiddle East respiratory syndrome. Since 2012, an outbreak of Middle East respiratory syndrome coronavirus has affected several countries, primarily in its namesake, the Middle East. The virus, which causes Middle East respiratory syndrome (MERS), is a newly emergedbetacoronavirus that was first identified in a patient from Saudi Arabia in April 2012. Sporadic cases, small clusters, and large outbreaks have been reported in 24 countries, with over 1000 cases of the virus and over 400 deaths. Most infections with human coronaviruses are mild and associated with common colds. The six coronaviruses known to infect humans are in the alpha and beta genera. Both MERS-CoV and SARS-CoV (severe acute respiratory syndrome) are betacoronaviruses. The Fourth Meeting of the International Health Regulations Emergency Committee concerning MERS-CoV was held on 4 December 2013. The committee decided that the conditions for a Public Health Emergency of International Concern (PHEIC) had not at present been met. In November 2012, Egyptian virologist Dr. Ali Mohamed Zaki sent a virus sample from the first confirmed case to virologist Ron Fouchier, a leading coronavirus researcher at theErasmus Medical Center (EMC) in Rotterdam, The Netherlands. The second laboratory-proven case was in London, confirmed by the UK Health Protection Agency(HPA). The HPA named the virus the London1_novel CoV 2012. On 8 November 2012, in an article published in the New England Journal of Medicine, Dr. Zaki and co-authors from the Erasmus Medical Center published more details, including a scientific name, Human Coronavirus-Erasmus Medical Center (HCoV-EMC), which was then used in scientific literature. In the article, they noted four respiratory human coronaviruses (HCoV) known to be endemic: 229E, OC43, NL63, and HKU1. By May 2013, 10 of the 22 people who died and 22 of 44 cases reported were in Saudi Arabia and over 80% were male.This gender disparity is thought to be because most women in Saudi Arabia wear veils that cover the mouth and nose, decreasing their chances of being exposed to the virus. By 19 June 2013, MERS had infected at least 60 people with cases reported in Jordan, Qatar, Saudi Arabia, the United Arab Emirates (UAE), Tunisia, Germany, the United Kingdom (UK), France and Italy, with a death toll of 38. Saudi officials expressed great concern that millions of Muslims from around the world would potentially be exposed to the virus during the autumn Hajj, or pilgrimage to Mecca. In May 2014, the WHO said it was monitoring the situation as global cases of MERS appeared to be on the rise, but said the situation did not yet constitute a health emergency. On 3 June 2014, Saudi Arabia revised the country’s total cases of MERS to date to 688 cases after re-examining the data as part of an effort to better understand the disease. A total of 282 people had died from MERS. The numbers represented a jump of 113 cases and 92 deaths. Despite the jump in reported cases, the number of new cases was on the decline according to Tariq Madany, head of the medical advisory council. At the same time, the Saudi deputy health minister was fired, the second high level health official fired within two months. On 4 June 2014, a study published in the The New England Journal of Medicine indicated that camel to human transmission of the virus was possible. In November 2013, a man became ill with MERS after tending to a sick camel. DNA samples taken from the man, who eventually died of the virus, and the sick animal were virtually identical providing very strong evidence the man had got the virus from the camel. On 20 May 2013, the novel coronavirus reached Tunisia killing one man and infecting two of his relatives. Tunisia was the eighth country to be affected by MERS-CoV after Jordan, Saudi Arabia, Qatar, the United Kingdom, France, Germany, and the United Arab Emirates. According to a European Centre for Disease Prevention and Control (ECDC) publication, on April 2014, Tunisia had a total of 3 cases with 1 fatality. In April 2012, six hospital workers were diagnosed with acute respiratory failure of unknown origin. Of the six, two died. All the cases were reported to the European Centre for Disease Prevention and Control (ECDC). After the September identification of a novel CoV strain, a retroactive analysis of the hospital workers was performed. Epidemiologists discovered the Jordan cases. Using stored laboratory samples for all six, it was found that samples from the two patients who had died tested positive for nCoV. On 24 April 2014, a 25 year-old male was found positive for the coronavirus. He had history of exposure to camels and had consumed camel milk. On 16 April 2014, Malaysia reported its first MERS-COV related death. The person was a 54 year-old man who had traveled to Jeddah, Saudi Arabia, together with pilgrimage group composed of 18 people, from 15–28 March 2014. He became ill by 4 April, and sought remedy at a clinic in Johor on 7 April. He was hospitalized by 9 April and died on 13 April. On May 11, 2014, two persons on Medan were suspected infected by MERS-Cov (Middle Eastern Respiratory Syndrome-Corona Virus). On 31 October 2013, the World Health Organization (WHO) confirmed that one person in Oman has MERS. The WHO said “the patient in Oman is a 68-year-old man from Al Dahkliya region who became ill” on 26 October 2013. On 16 April 2014, an OFW who returned from Al Ain City, United Arab Emirates was found positive for MERS-CoV at theNinoy Aquino International Airport (NAIA). The said person was tested for the said virus in the United Arab Emirates (UAE) but immediately travelled to Manila. Doctors from UAE later contacted Department of Health (DOH) confirming the condition of the OFW. The said OFW, who was working as a nurse in the UAE, had contact with the Filipino paramedic who had died recently in the said country. The OFW together with four of his family members who fetched him at the airport were quarantined. In a press release on 19 April, DOH announced that the OFW who UAE doctors found positive for MERS-CoV was found negative for the virus in an subsequent test by Research Institute for Tropical Medicine (RITM). Explaining further with the test, Secretary Enrique Ona explained, “Since ten days had lapsed from the reported testing date at the UAE, our task force right away got in touch with him and decided to perform a test on him, and fortunately, as well for the comfort of everybody, the findings of our Research Institute for Tropical Medicine, he tested negative.” In the said press release, DOH also announced that they are tracking all other 414 passengers of Etihad Airways Flight 424 (the flight the OFW took from Abu Dhabi, UAE to Manila) in order to be tested. As of 24 April, 408 passengers were already contacted, of whom 252 were already tested; out of this numbers, 221 were found to be negative. The remaining 6 passengers have yet to be contacted. The first known case of a previously unknown coronavirus was identified in a 60-year-old Saudi Arabian man with acute pneumonia, who died of renal failure in June 2012. As of 12 May 2013, two more deaths have been reported in the al-Ahsa region of Saudi Arabia. In the latest cluster of infections, 15 cases had been confirmed, and nine of those patients had died. Ten of the 22 people who died and 22 of 44 cases reported were in Saudi Arabia. An unconfirmed case in another Saudi citizen, for which no clinical information was available, was also reported around this time. On 22 September 2012, the Saudi Ministry of Health (MOH) announced that the two cases involving Saudi citizens, caused by what they termed a “rare pattern of coronavirus,” had both proven fatal. Two of the Saudi Arabia cases were from the same family and from that family at least one additional person presented similar symptoms but tested negative for the novel coronavirus. On 21 February 2013, WHO stated that there had been 13 laboratory-confirmed cases, 6 cases (4 fatal) from Saudi Arabia, 2 cases (both fatal) from Jordan, 2 cases from Qatar, and 3 from the UK. On 28 May 2013, the Saudi Ministry of Health reported five more cases of MERS-CoV. The cases have been “recorded among citizens in the Eastern Region, ranging in age from 73 to 85 years, but they have all chronic diseases.” With this announcement, the unofficial global case count reached 49 while the death toll stands at 24 according to the CDC. As of 26 June 34 deaths have been recorded in the kingdom. On 31 October 2013, the WHO announced that three patients in Saudi Arabia died of MERS. The patients were one woman and two men and “all had underlying medical conditions but all reported having had no contact with animals before falling ill”. Early of 23 April 2014, 11 new cases including a first case for Mecca were reported by the Health Ministry. An additional 13 cases were reported on the same day. With the additional reported cases, there are now a total of 285 cases with 83 deaths in the Kingdom. Due to fears of the MERS virus, attendance in the hajj in 2013 was lower than the previous year. The Saudi government asked “elderly and chronically ill Muslims to avoid the hajj this year” and restricted the number of people allowed “to perform the pilgrimage”. Saudi Health Minister Abdullah Al-Rabia said “that authorities had so far detected no cases among the pilgrims” of MERS. However, the Spanish government, in November 2013, reported a woman in Spain, who had recently traveled toSaudi Arabia for the Islamic pilgrimage, contracted the disease. On 14 April 2014, one Filipino paramedic died in the United Arab Emirates, with six other reported to be infected with the virus. On 17 April, the UAE Ministry of Health reported another fatality and four additional cases, including the Filipino medical worker who travelled to the Philippines on 16 April. On 21 April 2014, the Health Ministry of UAE reported an additional 9 cases. The Ministry of Health and Medical Education of Iran reported that two women had been diagnosed with MERS and on 29 May 2014 one of the women died of the disease in the city of Kerman. According to Dr. Mohammad Mehdi Gooya, Chief of the Center for Management of Contagious Diseases of Iran, the patient had been diagnosed with high blood pressure and her immune system, therefore, wasn’t strong enough to fend off the disease. The second patient is said to be in a good condition. Four days later, on 4 June 2014, the Ministry of Health reported that 3 more people including a doctor and a nurse who came in contact with the deceased patient are suspected to have contracted the disease. The victim’s son-in-law is also reported to have been infected. According to Dr. Gooya, the infection of 1 out of the 3 suspected patients is confirmed and more tests are under way to determine the situation of the other two patients. In May 2015, the first case in South Korea was confirmed in a man who had visited several Middle Eastern countries. As of 12 June 2015, ten people in South Korea have died from this outbreak, with 122 confirmed cases of infection. There have been at least 3800 quarantined. On 7 May 2013, a case was confirmed in Nord departement of France in a man who had previously traveled to Dubai, United Arab Emirates. On 12 May 2013, in a case of human to human transmission, a man previously hospitalized in the same room as the first patient was confirmed by French Ministry of Social Affairs and Health. France reported its first death from MERS near the end of May 2013. On 28 May 2013, a report by the Associated Presssaid a French patient died of the novel coronavirus related to SARS. Fifty percent of those infected have died. On 20 April 2014, Greece reported its first MERS-CoV case. The infected individual was a 69-year-old Greek male who had returned to Greece on April 17 from Saudi Arabia. People with close contact with the infected man were identified and are being followed up. On 31 May 2013, the Italian health ministry announced its first case of MERS-CoV in a 45-year-old man who had traveled to Jordan. The patient is being currently treated in a hospital in Tuscany and his condition was reported as not life-threatening. On 1 November 2013, a woman who had recently traveled to Saudi Arabia for the Hajj, contracted the disease. She is stated to be in stable condition, and investigators from the World Health Organization are investigating whom she came in contact with. In February 2013, the first UK case of the novel coronavirus was confirmed in Manchester in an elderly man who had recently visited the Middle East and Pakistan; it was the 10th case globally. The man’s son, whom he visited in the hospital in Birmingham, was immuno-suppressed because of a brain tumour, and contracted the virus, providing the first clear evidence for person-to-person transmission. He died on 19 February 2013. The second patient was a 49-year-old Qatari man who had visited Saudi Arabia before falling ill. He was flown privately by air ambulance from Doha to London on 11 September where he was admitted to St Mary’s Hospital and later was transferred to St Thomas’s Hospital. As a result of Dr Zaki’s post on Pro-MED, the novel coronavirus was quickly identified. He was treated for respiratory disease and, like the first patient in Saudi Arabia, died of renal failure in October 2012. As of April 2014, the European Centre for Disease Prevention and Control reported a total of 4 cases in the United Kingdom, 3 of which were fatalities. On 2 May 2014, the United States Centers for Disease Control (CDC) confirmed the first diagnosis of MERS-CoV in the United States in Indiana. The man diagnosed was a healthcare worker who had been in Saudi Arabia a week earlier, and was reported to be in good condition. Another case, a Florida man from the Orlando area, has been reported, and a third Illinois man is as yet asymptomatic but has tested positive for a past infection with the healthcare worker from Indiana. The latter case is the first human-to-human transmission in the United States. On 28 May 2014, the CDC announced that the third person who was found positive for the virus was not infected. The announcement came after a further laboratory analysis by CDC indicating that the person was never infected with the virus. The potentially fatal MERS virus that originated in Saudi Arabia two years ago has spread to Turkey for the first time, the World Health Organization said Friday. In a report on its website, the organization attributed the spread to a 42-year-old Turkish citizen who had been working in the Saudi city of Jidda; he fell ill there last month and flew two weeks ago to the Turkish city of Hatay, where he was hospitalized and died within days. The organization said medical investigators confirmed that the man had suffered from MERS, or Middle East Respiratory Syndrome, and they were checking others in Turkey and Saudi Arabia who had been in contact with him during his symptomatic phase. Saudi Arabia has been under enormous pressure to control the disease, which can incubate in camels and other livestock. The Saudi authorities have been faulted for having allowed MERS to proliferate, particularly in Jidda, Riyadh, the Saudi capital, and the holy city of Mecca, where pilgrims from the entire world converge for the annual hajj. Pilgrims are known to have spread the disease to Iran, Jordan and Algeria. The W.H.O. said that as of Friday, it had tallied 883 MERS cases worldwide, including at least 319 deaths. Most cases are in Saudi Arabia.